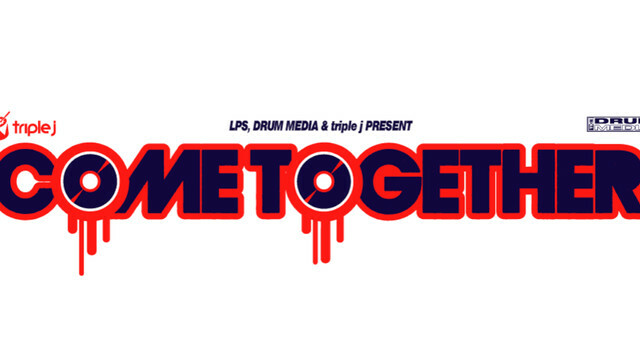 Come Together Festival 2013 Line-up Announced – Drapht, Illy, The Herd & More! Come Together festival will be back for its 10th year of all-ages goodness at the Big Top at Sydney’s Luna Park, featuring Drapht, Illy, The Herd and Spit Syndicate in an all-Aussie hip hop line-up on the Queen’s Birthday long weekend. The festival is continuing with last year’s move away from its previous indie rock vibe. Come Together, which once featured the likes of You Am I and Birds of Tokyo, now has an exclusively skip hop line-up, as debuted last year, and is also continuing with the drop from a weekend festival to a 1-day event, which saw the event sell out in 2012. Potential punters can expect plenty of new tunes from headliner Drapht, who recently told Music Feeds about his latest endeavours. Spit Syndicate have also got plenty of fresh music after releasing their latest album, Sunday Gentlemen, early last month, and you can get a taste of their live show by checking out their exclusive set at Music Feeds Studio here. Come Together festival is an all-ages event, and tickets are on sale 11th April and start from $60, which include free rides at Luna Park all day.